Games ini dapat juga dijadikan alat “LGD” (Leaderless Group Discussion) karena dalam games ini diperlukan perencanaan dan strategi serta paembagian tugas. Komunikasi dan insiatif juga dapat diamati dalam games ini. 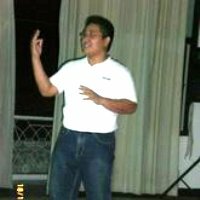 Fasilitator mesti cermat dalam mengobservasi dan mencatat hal-hal penting untuk didiskusikan dalam debrief. Games ini dapat dimainkan di dalam ruangan. Alat yang diperlukan hanyalan 3-5 bungkus sedotan untuk setiap kelompok yang terdiri dari 6-10 orang. 8 Comments on "Team Building Games: Straw Castle"
I’m amazed, I must say. In fact rarely do I encounter a website that’s educative and enjoyable, and I want to let you know, you may have strike the nail on the head. Your idea is excellent; the difficulty is something that not enough individuals are discussing intelligently about. I’m really pleased that I stumbled throughout this within my seek for something talking about this. My brother recommended I would possibly like this website. He used to be totally right. This submit actually made my day. You cann’t imagine simply how so much time I had spent for this info! Thank you! I blog often and I genuinely thank you for your information. This great article has truly peaked my interest. I’m going to take a note of your blog and keep checking for new details about once per week. I opted in for your Feed too. Your post was very delightful, I wish you wrote more things like that. Thank you very much! Hey. How did you laud the unfamiliar year?